Hidalgo County will receive more than $10 million combined for low-income housing programs and community development from the U.S. Department of Housing and Urban Development. 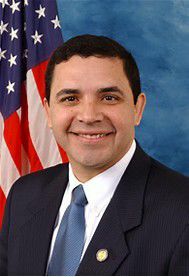 The announcement came via a news release issued Aug. 24 by the office of U.S. Rep. Henry Cuellar, D-Laredo. The funds, according to the release, were awarded to Hidalgo County from HUD’s Office of Community Planning and Development. The money will go toward the Emergency Shelter Grant, HOME Investment Partnerships Grant and Community Development Block Grant — or CDBG — programs. Though the funds are awarded to the county, it is up to the cities that participate in the program to decide for which projects those funds are used. The 17 participating cities include Alamo, Alton, Edcouch, Elsa, Granjeno, Hidalgo, La Joya, La Villa, Mercedes, Palmhurst, Palmview, Peñitas, Progreso, Progreso Lakes, San Juan, Sullivan City, Weslaco and the four county precincts.